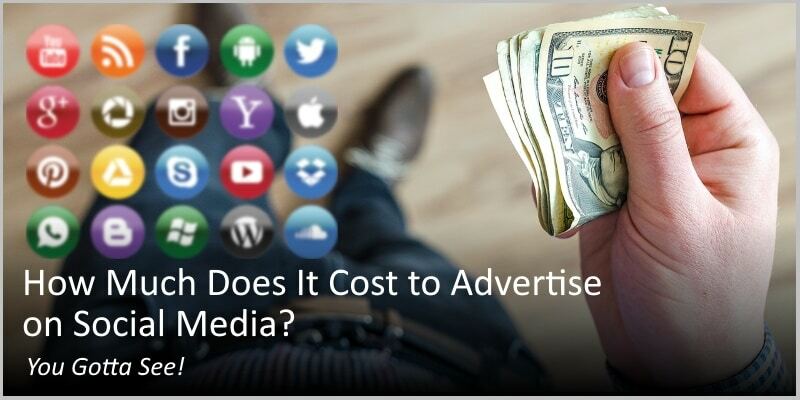 How Much Does It Cost to Advertise on Social Media? Do you want to advertise on social media? Great! But what about cost? Here’s the thing: The number of users on every social networking site is increasing daily. It means that advertisements on social media add up to a reasonable cost. 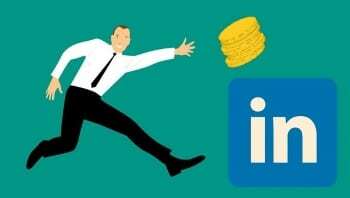 In case you want to take advantage of the growing audience on these platforms to promote your product or business, you furst must learn how much does it cost to advertise on social media. That being said, it’s totally worth it (if you do it right, of course). Is Social Media an Effective Marketing Platform? The rapid rise of the internet has led to a steep increase in the use of social media. As the users on social media platforms are increasing, the number of views on every social media ad is also on the rise. This provides businesses an opportunity to promote their business using these platforms. As such, you can bet social media is an effective marketing platform; in fact, it is one of the most effective ways to promote your business. It is a very competent and useful tool to sell various products. As the audience is also getting diverse, you can promote any product on these social media platforms, especially on Facebook, Twitter, and Instagram. Since there are many popular social media networks, every app has its specific market reach and advertisement strategy that you need to look into. However, these strategies influence the rate at which the advertisement sells. CPC (Cost per click): This is a prevalent billing standard on social media platforms. You can pay only when someone clicks on your ad. Cost per like: You are charged every time a user clicks on your photo or likes it. CPV (Cost per view): You are charged for every single time someone views your ad. CPA (Cost per action or conversation): Certain platforms offer you this billing option which basically involves charging users every time they make some action. For instance, downloading an app, signing on a newsletter, etc. CPM (Cost per thousand impressions): You are charged for every 1,000 impressions. Next, let’s come to the three major social media platforms – Twitter, Instagram, and Facebook. Let’s see how deep your hand is going to have to go into your pocket. How much does it cost to advertise on Twitter? And how does it work, to begin with? Well… Twitter works by putting up “promoted” tweets. Every time any user likes, retweets, clicks or replies on the tweet, Twitter charges you. Promoted tweets help you target your audience. 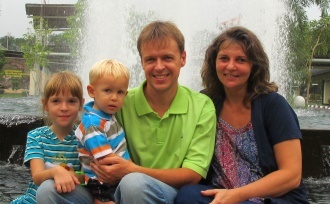 For example, you can specify age, gender, country, or even interests. This helps to cater to the right set of people, allowing you to earn more impressions on your advertisement. On an average, the cost of advertising on Twitter adds up to be around $1.35 per engagement. This means for every like, click, reply or retweet, the marketing campaign can cost you $1.35. Twitter ads also work through promoted trends, which basically target certain geographic locations through hashtags. Anything tweeted with a hashtag makes a special appearance in the trending lists. The higher the product goes on the trending list, the better it sells. However, these trending lists are more suitable for you if you have larger businesses with a bigger marketing budget. There is literally no need to spend $4000 on Twitter alone for people who do not have the budget. You can start advertising on Twitter here. How much does it cost to advertise on Facebook, the biggest and most popular media platform in the world? As you might suspect, Facebook is among the most used social media apps. For this reason, billing prices on Facebook cost a bit more than Twitter. Since Facebook is used by almost all age groups and diverse audience, you can use it to target people from every field of life. You can also smartly place customized ads according to the audience you are targeting. Facebook ads run mostly on the sides of the web browser. In the application, they run in between posts. Sometimes they might also run during a video played. With its ubiquitous display of ads, advertising on Facebook tends to generate a huge amount of money. On an average, most of these ads cost $2,500 to $5,000 per month. Sometimes the price might go up to $9,000 for larger businesses. The average cost per click (CPC) on Facebook can come at a maximum of around $0.27. This rate solely depends on the audience which is targeted through the ads. The average cost on Facebook per thousand impressions (CPM) can be $0.65. You can start advertising on Facebook here. Instagram ads cost even more than Facebook and Twitter, whether it involves an advertisement in the story or the newsfeed. Most of the advertisement campaigns, if not all that run on Instagram basically work on attracting buyers through visuals. Instagram mainly comprises of a galore of aesthetically pleasing pictures. Therefore, this social media outlet works better for selling products that are appealing to the eye. When audio-visuals or just even visuals come into play, Instagram proves to be a smart media to get through to the younger market. Cost on Instagram proves to be more than the other two social media platforms discussed above. It costs you around $6.70 for every thousand views, on average. You do not even need an Instagram account to start marketing. Facebook is linked to Instagram, so just a business manager page on the former is enough. This page helps in getting through to Instagram as well. Instagram provides you with better clicking rates. Users tend to click around 2.5 times more on Instagram than any other social media platform. It works very well if you can offer expert-level photography skills. Because then it’s easy for you to pour in a large amount of traffic purely based on the quality of the photography. For this reason, advertisements revolving around food (eateries, home-based startups), fashion brands prove to be very cost effective. You can start advertising on Instagram here. Since the internet and technology are overgrowing, the competition amongst brands is also getting stronger. On a daily basis, you may have to spend around $200 to $350 on social media for effective marketing covering all major social media platforms. The prices may also increase or decrease depending upon the intensity of your marketing campaign. The good news is, though, that you never have to pay for the placement of an ad (at least in most case). What you actually pay for is the activity on the ad; not just any activity, but the activity which you specify for your respective campaign. It might be a click or a like or an impression. This is why social media marketing, if done right, is very effective. Yes, the raw, sizzling beauty of passive income stream online. So, click here now. Because sometimes ‘later’ becomes ‘never ‘. I am sure you now have a good idea about how much does it cost to advertise on social media. Awesome! Gary Halbert’s Way To A Sales Copy Mastery. For Dummies. Yes, Social media is the best platform for advertising in a small budget. Hey, Kunal, and thank you for the feedback. Which social media platform do you prefer?